Use this animated video making software to create awesome videos for all kinds of purposes, ranging from marketing to teaching. No design skills and previous experience needed! Apply decoration effects to elements to get them looking just how you want them. 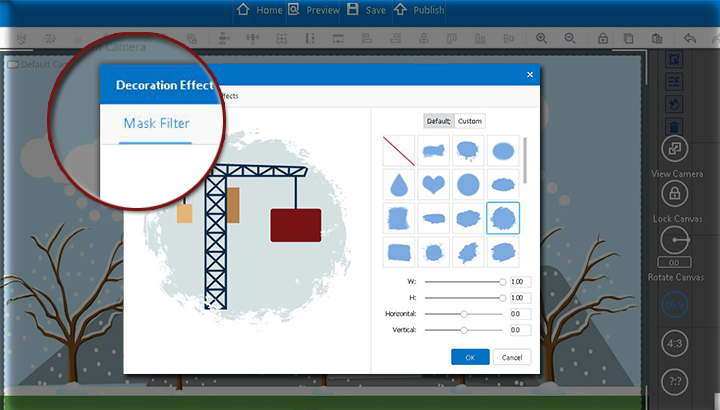 The decoration effect enables you to add the mask filter, the shadow effect and the border to elements, customizing elements'shape, saturation, brightness for a more beautiful look. Furthermore, once you choose a mask filter, shadow effect and border, you can instantly see what the element look like with these effects, making it easy for you to select the best effect quickly. 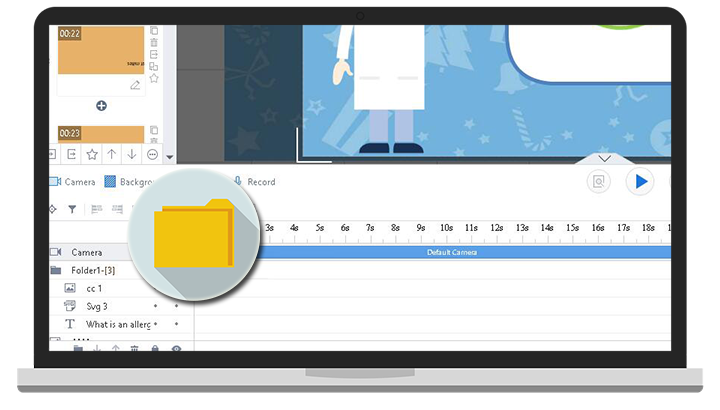 To help you organize the elements you are editing, Animiz empowers you to create folders in timeline. You can put similar timeline elements into this folder and create a specific name for this folder. In this way, you can find the element in timeline quickly even if there are many elements. More importantly, the folder gives you the ability to make some changes to a group of elements at the same time. All types of charts are available in Animiz. 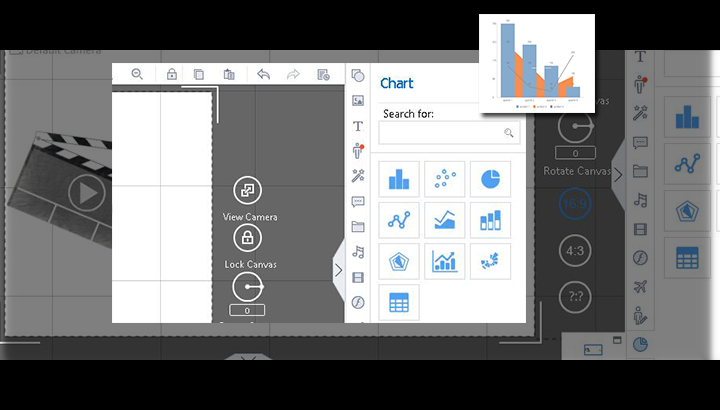 Choose from these chart types-pie chart, bar chart, line chart, dot chart,stacking chart, mixed chart, radar chart, area chart, knighting gales rose chart, table-and simply enter your data to bring the information to life . What's more, you are allowed to select the type and the color for Axi. Animiz also lets you choose whether you want to show data or not. You have the ability to add a watermark to the video, when you are ready to publish the video in this animated video making software. A transparent PNG image with your logo can be uploaded from the local file to act as the watermark, personally branding the video. The watermark will appear throughout your video. No matter what device the audience is using to watch the video, the watermark keeps visible. Publish videos to the cloud so that a number of viewers can access your animation video.